A short little review, but a good one-4 stars. Definitely an enjoyable read! 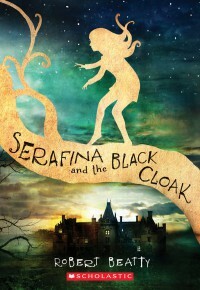 Serafina is a great character with a lot of personality. This is set at Biltmore Estate, and the plot shows Serafina discovering not only the Estate but the grounds as well. Beatty brings his characters to life while they deal with some adventure, some friendship, and a little bit of spookiness. I am looking forward to the next in the series.